WASHINGTON, D.C. — U.S. Sen. Susan Collins announced Wednesday she has successfully secured a provision in the current appropriations bill that will require fresh white potatoes be included in the federal Women, Infants and Children supplemental food assistance program. 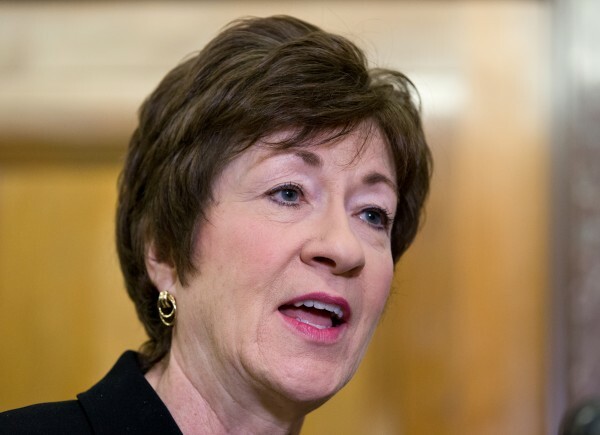 It was a victory for Collins, a senior member of the Senate Appropriations Committee, that also was hailed by fellow Sen. Angus King of Maine and by the Maine Potato Board. This provision would allow all fresh vegetables, including the fresh, white potato, to be included in the WIC program immediately upon enactment of the omnibus bill, which is likely to pass since it includes discretionary funding for the vast majority of the federal government for the current fiscal year that ends Sept. 30, 2015. The U.S. Department of Agriculture’s WIC program is the government’s premier nutrition program for pregnant mothers and their children. It provides monthly vouchers and specifies which foods can be bought with the funds, such as milk, eggs, cheese, fresh fruits and vegetables. Since 2009, however, the USDA has banned the purchase of fresh white potatoes with WIC subsidies. The agency relied on recommendations from the Institute of Medicine, which found in a 2005 study that starches, and white potatoes in particular, were already widely eaten and thus did not need any support from the program. White potatoes are currently the only item of fresh produce that WIC recipients are not allowed to purchase. Sweet potatoes and yams are allowed. Since the language in the current bill specifies that vegetables with added sugars, fats or oils cannot be purchased using WIC vouchers, french fries and potato chips will still be banned. The provision also requires the USDA to commence the next scheduled regular review of the WIC food package, including an evaluation of the nutrient value of all vegetables, to determine the long-term inclusion or exclusion of any fresh fruit or vegetable. Collins said in a statement that the USDA would be required to make publicly available all scientific research and data used to make its final recommendations and explain the results of the review to Congress. Collins has consistently touted the health benefits of the potato while fighting for its inclusion in the WIC program, noting that potatoes are cholesterol-free, fat-free and sodium-free, and they can be prepared in countless healthy ways. A medium baked potato contains 15 percent of the daily recommended value of dietary fiber, 27 percent of the daily recommended value for Vitamin B6, and 28 percent of the daily recommended value of Vitamin C.
In Maine, about 5,700 infants benefited from the program each month in 2012, along with more than 14,000 young children and nearly 5,500 pregnant, postpartum and breastfeeding mothers, according to the National WIC Association. Don Flannery, executive director of the Maine Potato Board, said Wednesday his organization was happy about the news. He also said he believes the move reinforces the fact that potatoes are a healthy food. In May, 20 lawmakers from both parties signed onto a letter to U.S. Agriculture Secretary Tom Vilsack, urging the federal agency to make white potatoes available to the Women, Infants and Children. Collins and King both signed onto it. King also lauded the decision, and credited Collins for her work. The omnibus appropriations bill also continues to support important agricultural research and extension activities, including language and funding on a range of issues important to Maine, from potatoes to wild blueberries to aquaculture to forest products.